Produktinformationen "AirCore Focke Wulf 190 KIT"
The original Fw 190 was one of the most formidable foes the Allies had to face during World War II. Flyzone has recreated the famed Fw 190 with this realistic replica. Like all AirCore aircraft, the Fw 190 is Power Core Ready — it installs and aligns with magnets – so you can be airborne in an instant! 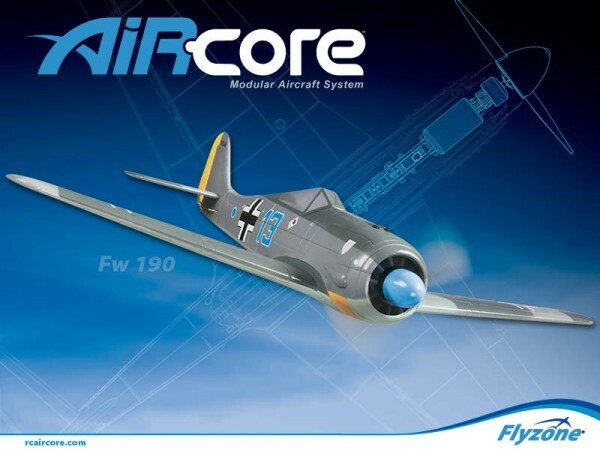 Weiterführende Links zu "AirCore Focke Wulf 190 KIT"
Kundenbewertungen für "AirCore Focke Wulf 190 KIT"